Kentpark Rolling Ball with the participation of 75 players, where the ambitious team tournament in Bowling Hall was the scene of colorful and fun images. 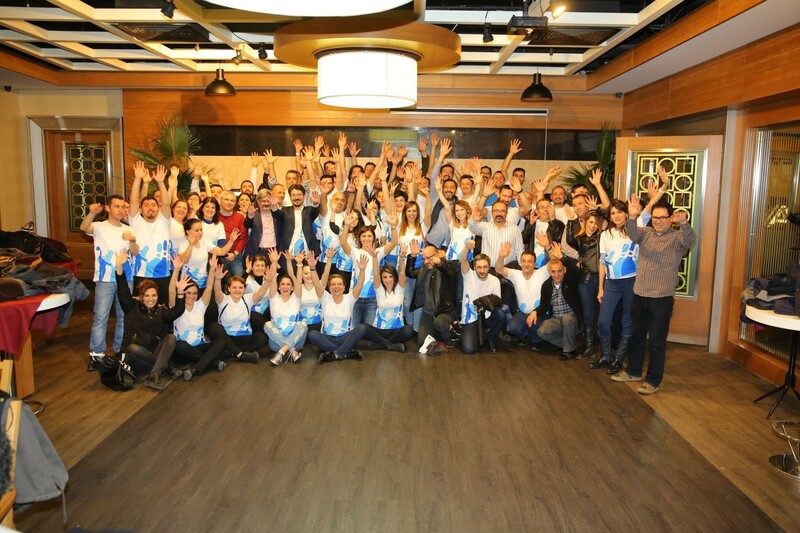 All Hidro Dizayn and Tractebel - Turkey Employees met to socialize and enjoy the competition together. Team names identified with the joint efforts of the team members made smiles on the faces of all the participants. The best team in the tournament was "ÇİMİÇANGA"
The ÇİMİÇANGA team was able to finish at the top with the quite high score 1104 points. 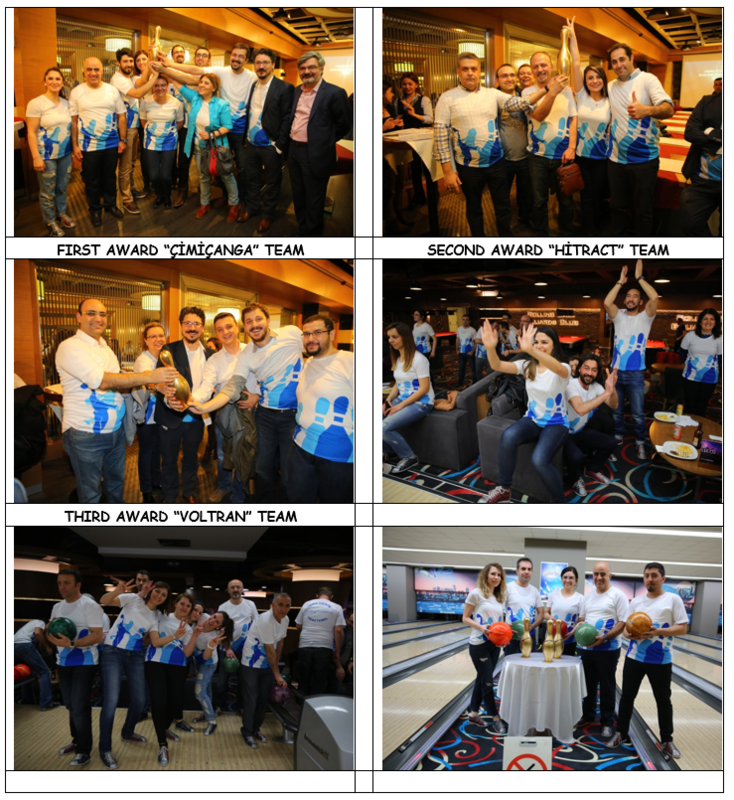 The team “HİTRACT” was second with 1075 points. The “VOLTRAN” was third with 1070 points. ÇİMİÇANGA’s veteran player Mr. Bürgehan Akçaru made the highest score 308 points of the tournament. Managing Director Mr. Denizhan Bütün in “VOLTRAN” lost leadership with the score 300 points. Mr. Ünsal Duru in “YANKEES” and Mr. Ahmet Can in “HİTRACT” shared third place with 291 points. Mrs. Handan Duru in “YING YANG” was the most talented in Women Category with the score 212, and Ms. Mine Aydın in “THUNDERBALL” followed with 183 points. When the next tournament will be taken is eagerly awaited.